The theory behind excellent Customer Service isn’t complex: Do everything in your power to assist caller inquiries in a timely manner and do so with a smile. Simple, right? Not so fast. Support environments are complicated and mired with numerous hiccups. 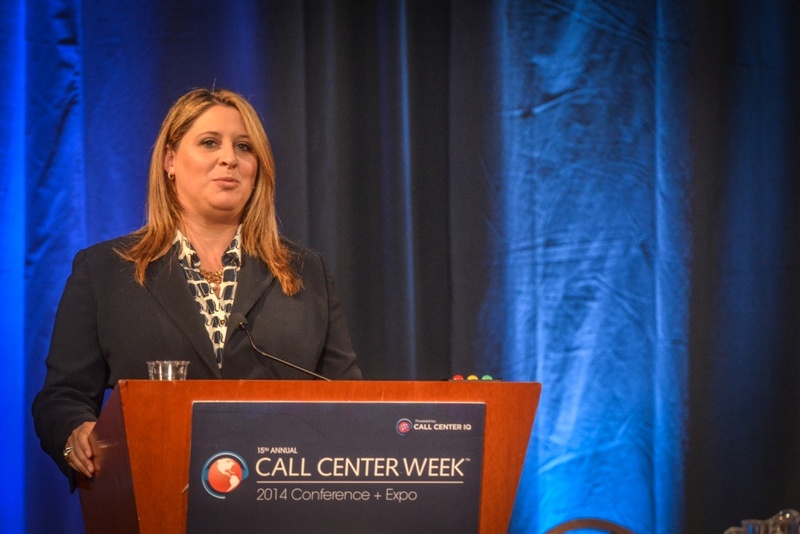 Amy Latzer and her team at LA County’s 211 offer “Real Help” to their in-need callers. What is it that your customer wants? This seems to be a simple question, yet the end goal of customer happiness often gets lost in support environments that are mired by multiple transfers, dead-end calls, impersonal agent interactions and disjointed communication across channels. These poor practices damage customer loyalty and, in turn, deliver your clients straight into the hands of your competitors. So how do you temper the issue of when a call center unintentionally loses sight of the end goal: a successful interaction — from the customer’s viewpoint? An excellent customer experience is always front of mind for Amy Latzer, Chief Operating Officer at 211 LA County. 211 LA County is a private, nonprofit organization based in San Gabriel, CA. Its 60 agents serve all 10 million residents of Los Angeles County, fielding nearly half a million calls per year. The center, which has been in business for around 35 years, will soon celebrate its 10 year anniversary of receiving the 211 designation. She and her team are in a unique position when it comes to implementing an effective Customer Experience strategy – 211 callers are most often in a state of mental or physical distress. Therefore, her team must respond in an especially caring and compassionate way from the get-go. How do you train and develop a staff that is able to possess a skillset that goes above and beyond the caller’s expectations? Amy says it starts with training. “It starts with the hiring selection. It really, really requires a very specific skill set and personality type. These are not easy calls. We’re handling calls from some of the most vulnerable, at-risk population in LA County,” she says. Unlike many call centers that field requests that can be mitigated with the click of a few buttons, 211 LA County callers sometimes cannot comprehend or express the root issue of their problem. Further, not only do they not know what they need, they don’t know what to ask for or what resources are available to them. This has potential to significantly dilute the Customer Experience process and underlines the importance of hiring quality from the beginning. Issues with Customer Experience arise when agents are devoid of training and instead are given checkboxes on a Quality Assessment scorecard. What happens then is that an agent will plug in an empathetic or validating statement somewhere in the call that doesn’t sound natural or make sense. This is not the kind of experience 211 LA County expects from its agents. To deliver truly exceptional customer service, you have to impress a sense of humanity within your agents, Amy suggests. She trains her agents to be curious, sensitive and possess the natural ability to be and sound empathetic in order to offer the caller validation. “Real Help” 211 LA County’s service delivery motto, means to impress that the call line is more than just a number and the agents are going to give more than just a number for another service. Lastly, after the call is concluded, she and her team collect the information from each call in order to analyze the reason behind the call and determine the effectiveness of the service rendered. They couple this with the gathered demographic information, which helps tell the full story of who is really calling. In the end, these steps lead to better referrals and better service.